10. BigBooks 1 and 2 together offer a systematic, thorough program that provides 3 years, minimum, of Latin instruction from beginning to intermediate level. 9. Since it is our cultural foundation, Latin offers the ultimate in integrated studies. The BigBooks draw upon this with their interplay of grammar, vocab, history, art, geography, and even ideas from science and math! 8. The BigBooks are cost-effective. Whether purchased in hardcopy, CDs, or PDF version, materials can be reprinted for all students in immediate family. Access to the virtual classroom never expires. 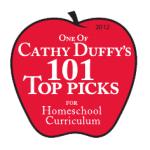 Great for families with more than one student. 7. Audio recordings provide help to learn pronunciation. There’s a choice of Classical (used by Romans and widespread in colleges today) or Ecclesiastical (used in medieval times and in the Catholic church today). 6. Short, effective videos teach the grammar portions of the program. Use them to learn or review lessons. These are a tremendous help to time-strapped parents who don’t have a background in Latin. BigBook 2 videos coming soon! 5. Online vocabulary games like hangman, word search, memory offer interactive fun and value. 4. 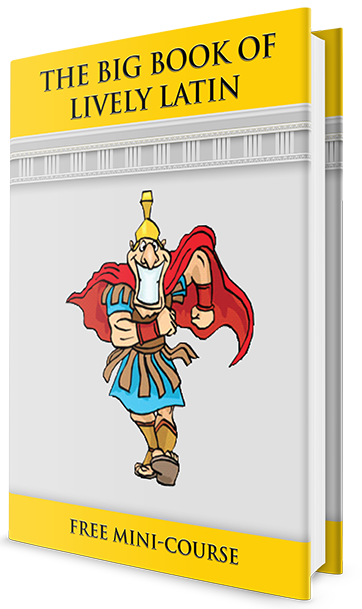 Roman history stories are interspersed with the grammar and vocabulary instruction. Fun reinforcement activities follow each 2-3 page story. 3. English vocabulary from Latin root words are taught through varied interesting exercises, not just a list of words to memorize. 2. PLENTY of assorted and imaginative reinforcement activities for learning and mastering grammar and vocabulary. Students don’t do the same things lesson after lesson. 1. The BigBooks are fun, colorful, captivating, lively, and kid-friendly. Latin becomes a favorite subject for students!